As a part of the PCI DSS compliance process, most organizations are wise to assess their readiness prior to an official audit. It is an extremely valuable exercise that puts your organization in the best possible position for a successful audit and a sound security program. But finding vulnerabilities is only the first step toward addressing associated risks. Addressing these risks with a sound remediation roadmap is arguably the most critical step in the process. InfoSight can perform an initial PCI gap analysis to review your IT infrastructure, network design, application architecture and policies to help you identify any gaps between your current security posture and PCI requirements. InfoSight's comprehensive enterprise security solutions provide the products and services necessary to comply with the PCI DSS, assess the ongoing security of your cardholder data environment, and protect your network against security breaches. We simplify PCI DSS compliance and security with flexible options that meet your specific needs and protect your business. InfoSight provides a variety of tools, guidance, training resources and other IT security services to assist organizations seeking to achieve PCI compliance. We can help you build and maintain a high security posture, help you understand what is involved in PCI DSS compliance, and assist in developing policies and practices that best fit your needs. PCI DSS compliance standards will continue to evolve over time. 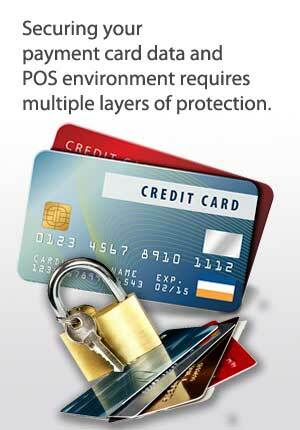 Contact us to help you build and maintain a high-security posture while ensuring PCI compliance.